Do you like scary movies, whose legacy is diluted first through numerous sequels and then a basic-cable MTV series that features plots involving YouTube and teenage bisexuality? Then the network invites you to turn on the light and gaze upon the duct-taped and disemboweled Scream, the pilot for which is now moving forward after years of development. As TV Line reports, Ravenswood writer Jill Blotevogel has penned a script that “kicks off with a YouTube video going viral” that somehow results in murder. This seems a rather extreme reaction to that clip of The Lion King cast singing on an airplane, but still understandable. Said murder will have serious repercussions for the show’s fictional town, but especially for its main character, Audrey, the “bi-curious daughter of a Lutheran pastor” who’s described as “more arresting-looking than pretty,” an “artsy loner,” and, finally, a wannabe filmmaker. Presumably her ambitions are inspired by her and her friends’ lives as pastiches of teen movie archetypes. Those friends include her best pal Noah, a brilliant tech geek who is both “the next Steve Jobs” and “John Cusack in his teen prime” and boasts an “encyclopedic knowledge” of pop culture; and her former best pal, beautiful popular girl Harper, who is nevertheless “introverted and intellectual,” but enjoys a “Gilmore Girls-esque relationship” with her mom, Maggie. Maggie is herself “a grown-up science geek who plays down her beauty” and who also harbors a “dark secret from her past,” the revelation of which will at last give her character the necessary fourth colorful descriptor. 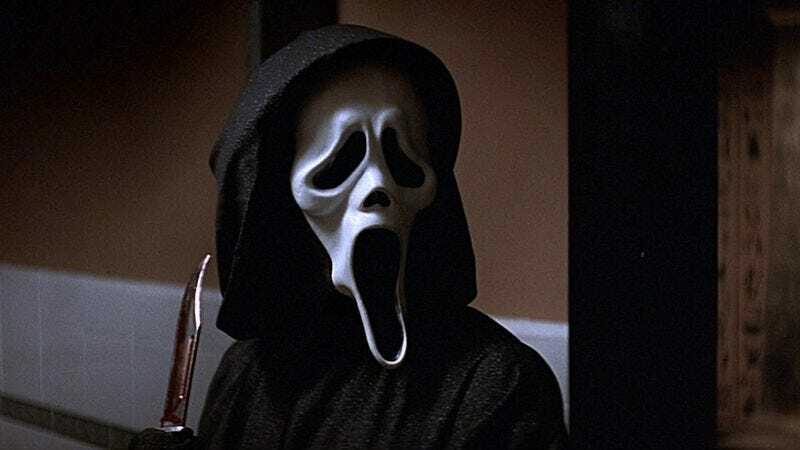 According to Bloody Disgusting, the Scream TV show has dropped the “supernatural” angle that was rumored last year, and will instead, like the movies, focus on the “rules” of slasher films. This will make the show about YouTube-inspired murders and artsy, bicurious preacher’s daughters more grounded in terrifying realism.